Only three books this week! I HAD to buy Divergent, I just couldn't resist anymore. I'm almost caught up on my reads, so I'm hoping to start it soon! So what's in your mailbox this week?? Leave a comment with your link so I can check it out! Happy Reading! I can't wait to see what you think of Divergent!! Yay for Divergent! I can't believe I have it but I have yet to read it. I hate when life gets so busy there is no reading time! Enjoy Divergent. Can't wait to see what you think! Seeing a lot of Divergent going around! Starting to think I need to get a copy myself! My IMM won't go up til tomorrow, but be sure to stop by! OU OU DIVERGENT! I BOUGHT IT TOO!! And I loved She's So Dead To Us! I'll have to check out your review for When It Happens though, because I'm not too sure about it. Happy reading! Ah, there's so many IMMs out and I only just woke up! I absolutely looooooved (love love loved) DIVERGENT, and it makes me sort of vicariously happy to see others enjoy it, too. I guess I should get my IMM on. I'm dying to read Divergent!!! Divergent!! So, so good. I loved Tris. 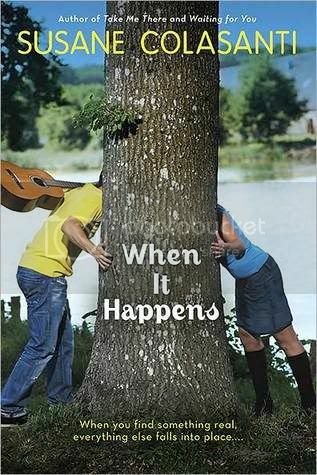 'When It Happens' is probably my favourite Susane Colasanti book, so that's awesome. argh! divergent! i can't wait to get a copy of that. i have yet to wait for our local bookstores to stock up on that novel. happy reading! 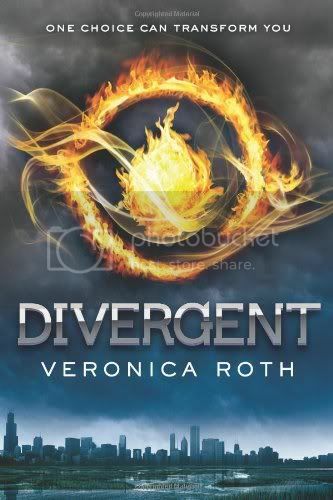 I really, really want to read Divergent! I need to get through my other books first as well and then I have promised myself I will buy it. Bribing with books always works! Oh, you have Divergent!!! I'm sooo jealous. Still haven't ordered a copy for myself. :( But I hope you'll enjoy it (and the other books of course, too). I really want to read Divergent! cant wait for the divergent review! Great books this week. Both Divergent and She's So Dead to Us are on my tbr pile. I love Susane Colasanti's books, I have to get her latest. I really should get myself a copy of Divergent! Looking forward to what you'll think of that. Haha! Nice books!! Divergent sounds awesome! I've heard so many good things about Divergent. Hope you like it! I hope you like Divergent! I'm still waiting for it to be available at the library.